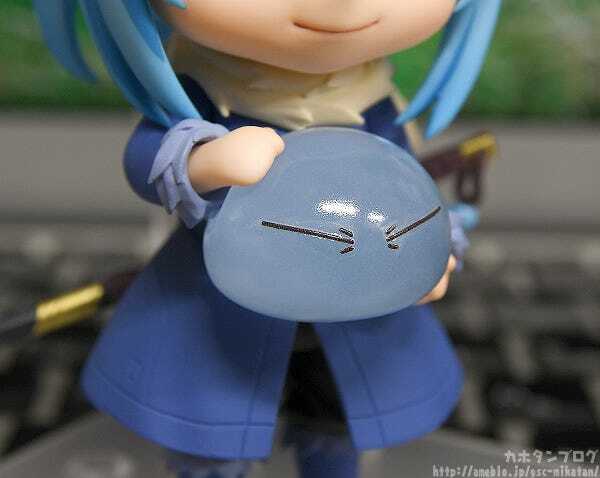 Have you heard of “glitter slime”? 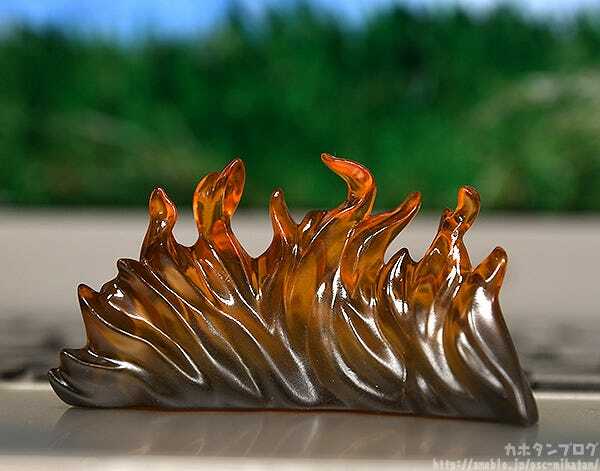 I want to make some! 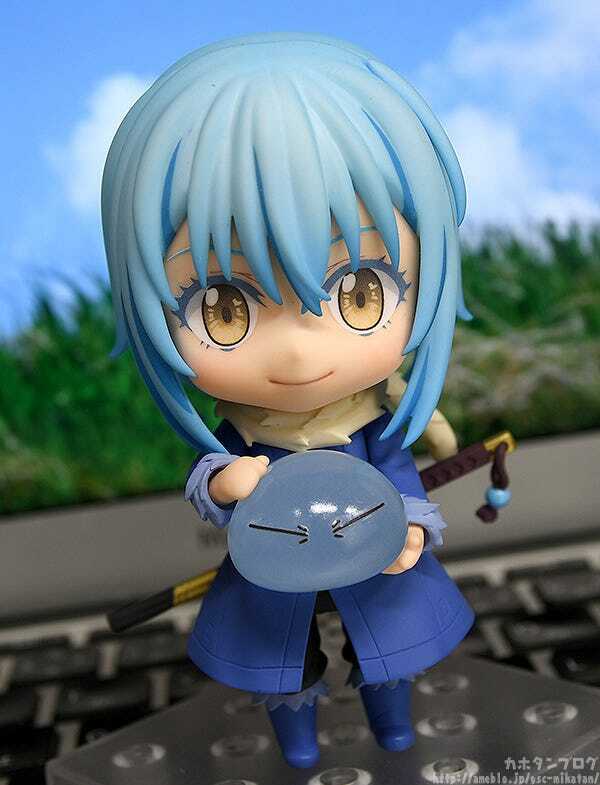 Remuru Tempest from “That Time I Got Reincarnated as a Slime” has been transformed into an adorable Nendoroid! 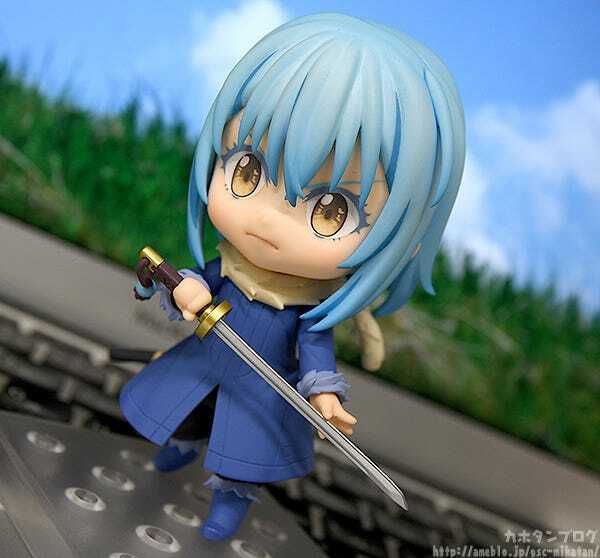 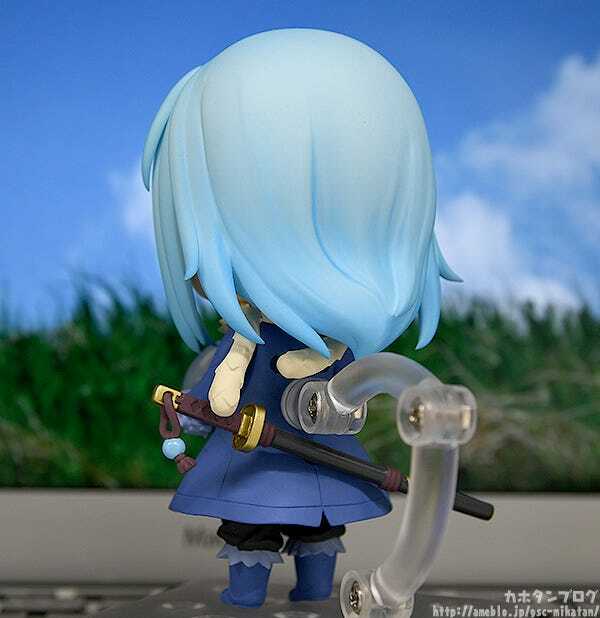 Those big eyes, that long flowing blue hair, simple blue coat and equipped sword have all been faithfully recreated in Nendoroid form! 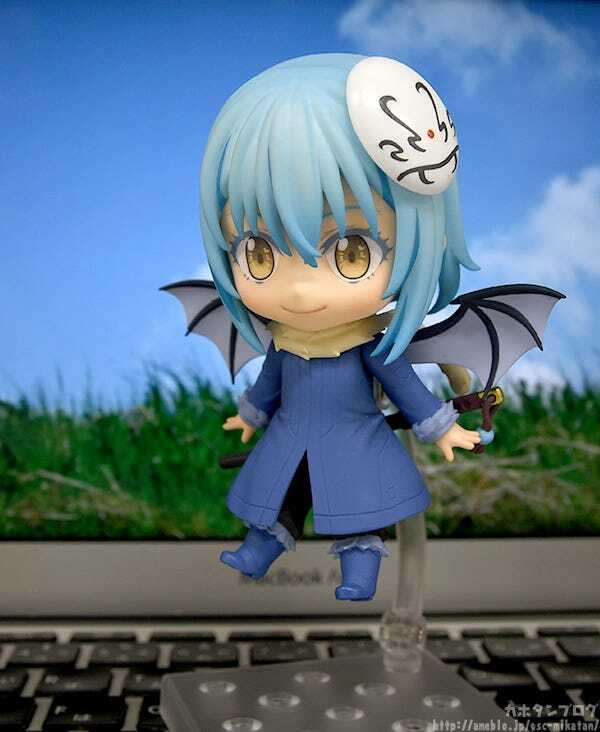 By the way, the bases of the wings are circular, allowing you to move them up and down like this! 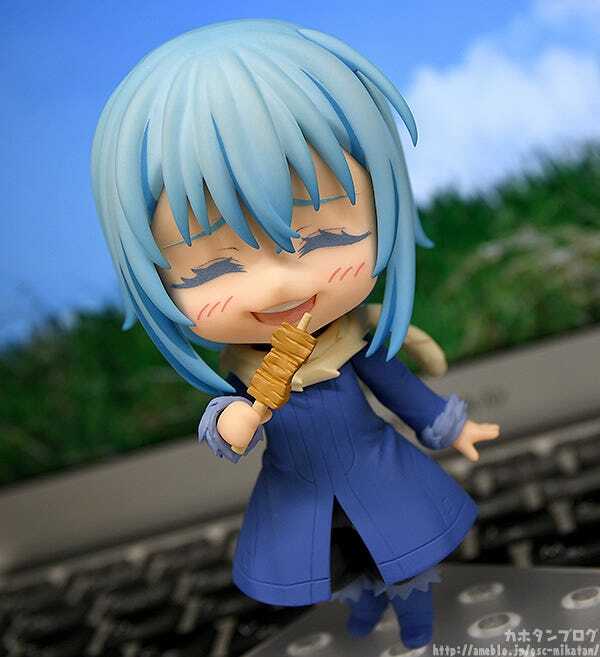 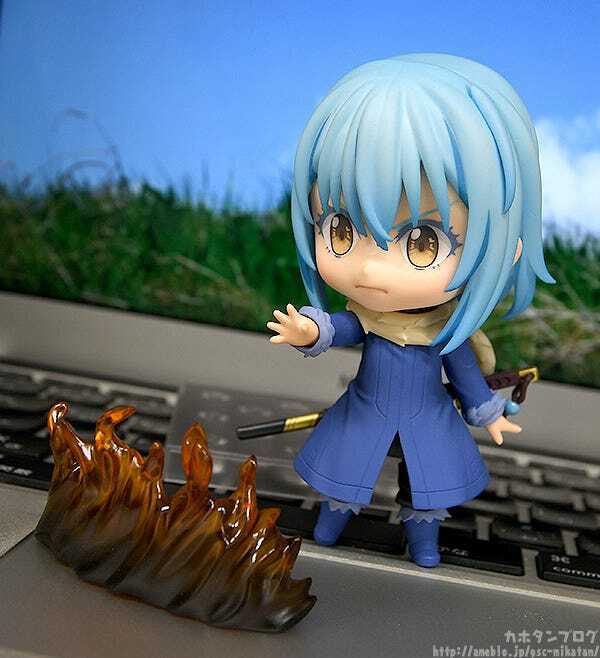 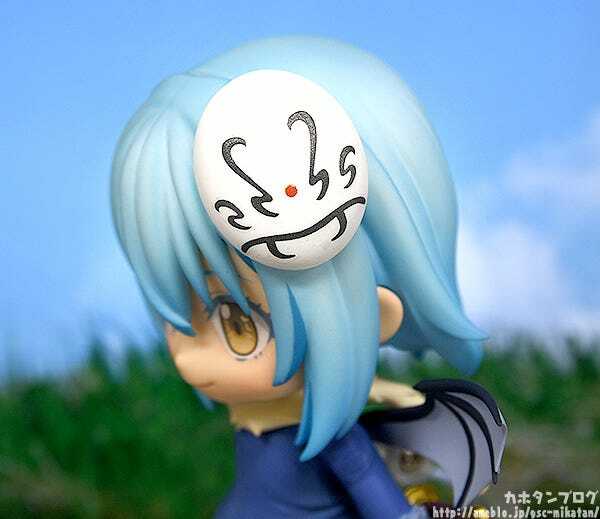 Recreate the scene of the first time Rimuru ate meat after reincarnating! 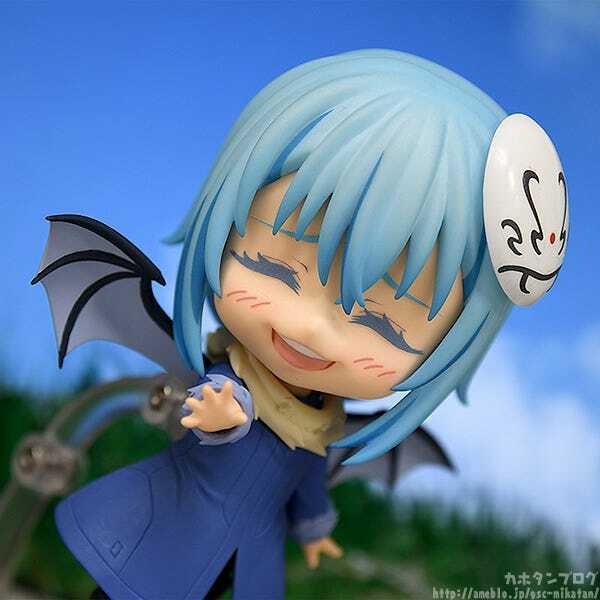 ▲Here’s Rimuru with the giant bat wings and smiling expression! 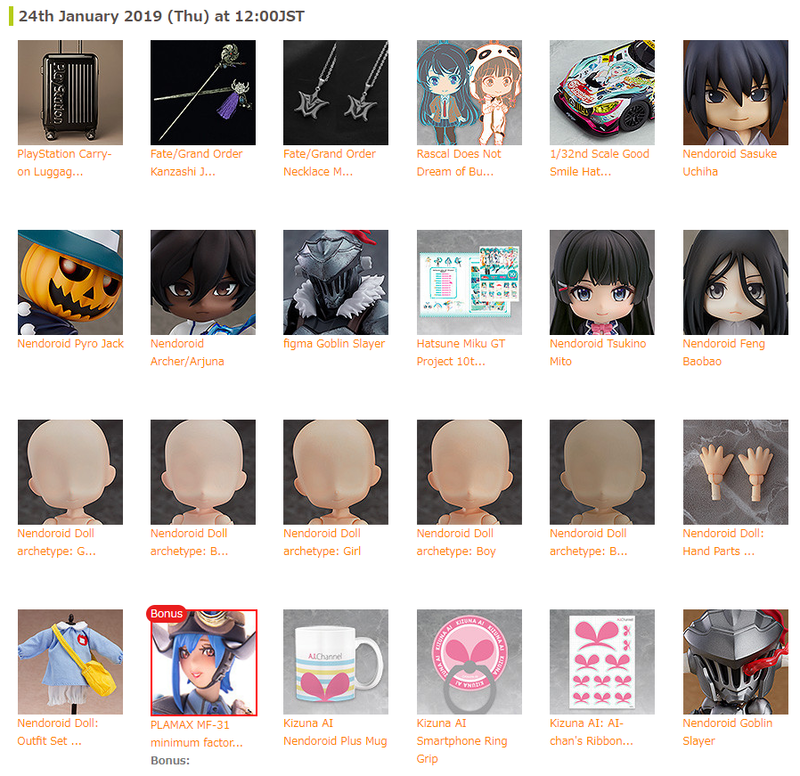 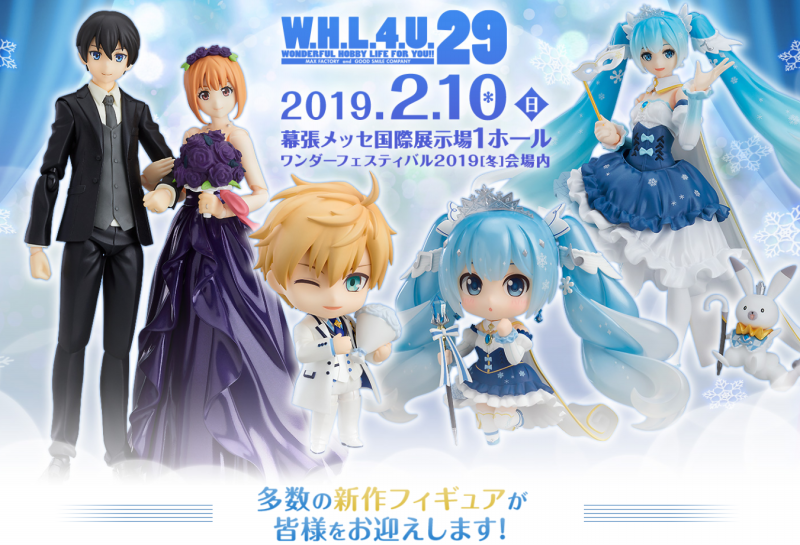 Preorders at the GOODSMILE ONLINE SHOP available until the 14th of February 2019 (Thu) at 12:00JST!